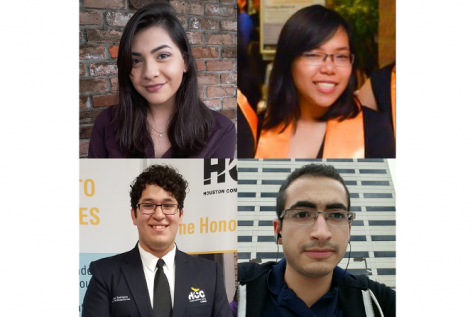 Four Houston Community College students are semifinalists for the prestigious Jack Kent Cooke Undergraduate Transfer Scholarship. The scholarship allows high-achieving, low-income students attending community colleges to continue their education and achieve their dreams of earning a bachelor degree at selective four-year colleges and universities. HCC students Abigail Gonzalez, Thao Nguyen, Josue Rodriguez and Ahmad Sayyedahmad are being considered for the $40,000 per year scholarship, which is good for up to three years.